All of the above applies to the first full movie pairing of Sylvester Stallone and Arnold Schwarzenegger, Escape Plan. Now, had this pairing taken place in the late 80's or early 90's it would have been a huge deal and a massive blockbuster. 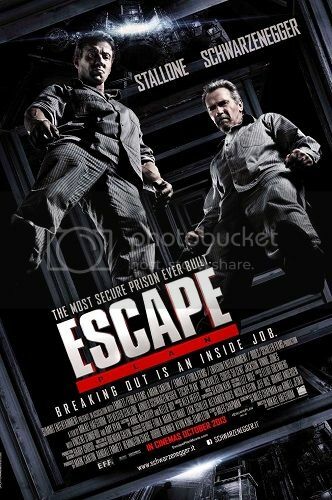 That, however, was 20+ years ago, and both of these action stars are well past their primes, which is likely why Escape Plan hasn't exactly set the box office on fire. On the other hand, they both can still deliver the goods, even in their mid 60's, and they both get a chance to shine here. No, no one is going to nominate them for Academy Awards for their performances in this movie, but both are solid from an acting perspective (very solid, and Arnold even gives a good, nuanced performance). From an action perspective? They definitely still have that presence and the needed physicality to pull off action scenes. The story is fairly simple. Stallone plays Ray Breslin, a security specialist who breaks out of prisons for a living. He is able to find the weak links in the security for most prisons he tests. It is an ability that has made him a fairly wealthy man. It is also an ability that brings a C.I.A. representative to his company looking to verify the security of a brand new, "Escape proof," prison that holds some of the worlds most dangerous people. Off the records and outside of any one country's jurisdiction, of course. When he gets there things fall apart. He has been sent in under an alias, and as the prison answers to no specific government (it is privately contracted) he finds himself trapped with no way out. His evacuation code is laughed at and he is told that he will spend the rest of his life there. At this point Schwarzenegger's character of Emil Rottmayer befriends him and becomes his one trusted ally as both of them work together to come up with an escape plan. Despite the fact that the movie features two of the biggest action stars of all time this isn't a pure action movie. This is also a fairly good prison drama with a solid supporting cast including Jesus Christ himself, Jim Caviezel, as the warden, and the great Sam Neill as the prison doctor. The dramatic aspects of this movie work well, with solid motivation for most of the characters involved. But let's not kid ourselves - people want to see action from these guys, and on that count the movie delivers. There are a few good fight scenes, and a slam-bang finale, so it is a good combination - good action and good drama in a well written and directed movie. After the first batch of reviews came in I was expecting to be entertained, but not super impressed. Walking out of the theater I was actually quite impressed. 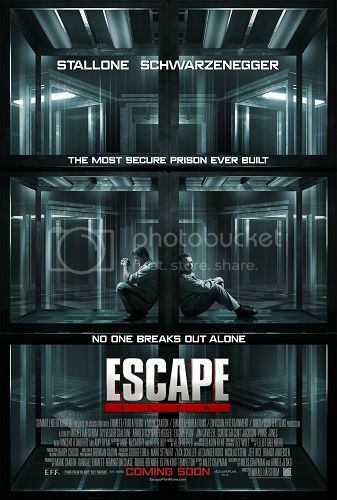 Escape Plan is a very good movie, and had it been released in 1991 or 1992 it would have been a huge hit and even gotten some good reviews. But in 2013? There's too much of the, "Been there, seen that," mentality among many critics for them to actually be able to enjoy the movie as much as they could if they hadn't seen the last 20 years worth of action movies (including several from Stallone and Schwarzenegger). 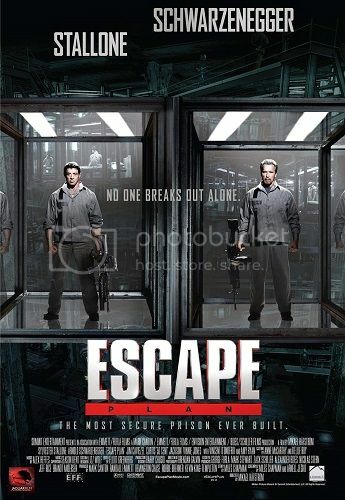 So the bottom line is merely this - Escape Plan is a very good movie. It's got good (not great, but good) drama and some good action scenes. What more can you realistically ask for from these guys?